Planting a tree is a big investment in the future of your landscape, so it's important to make the choice wisely. With hundreds of varieties available to choose from at nurseries in any given part of the country, the task of picking one may seem daunting. 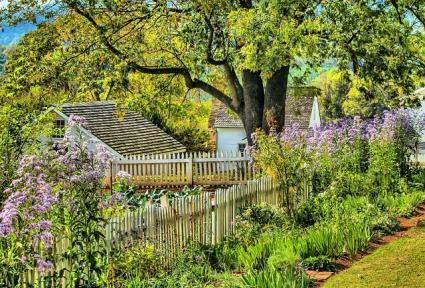 The following guide will lead you step-by-step through the most important criteria to consider, helping you to find the right trees for your yard. Plan the garden based on the mature tree size. Penelope O'Sullivan, author of The Homeowner's Complete Tree & Shrub Handbook: The Essential Guide to Choosing, Planting, and Maintaining Perfect Landscape Plants, says that "before you buy plants or start digging holes for new trees and shrubs, figure out exactly what you'd like the new plantings to do for you." O'Sullivan suggests that you start the process by sketching the main features of your property on a piece of paper. Map out the house, lot lines and all existing or planned hardscaping, like driveways and walls, and softscaping like trees, hedges, planting beds, etc. A flowering cherry tree makes a statement. All of these considerations are crucial to end up with a tree that will suit your needs and goals ten years from now when it begins to mature. "If you plant a huge tree too close to your house, you may have to replace it quickly or spend a lot of money pruning to keep the tree small or to keep branches away from the house," says O'Sullivan. Before you're able to choose an exact variety to plant, you need to determine traits of the tree that will suit your needs, which can likely be filled by more than one species. This process is largely about ruling out what isn't a good choice to plant in order to eventually land on the best choice among the options that will work. Once you know the exact form you're looking for and a few options that will fulfill it, you can head to the nursery to see what's actually available and within your budget. Or, you can take this information to the nursery and have them tell you what trees they have available that will work for your situation. 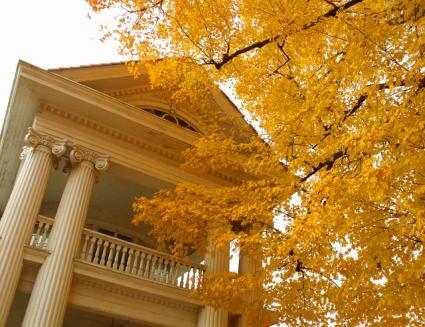 A large house deserves a large shade tree. Generally, you want tree plantings to be proportional to the size of your lot. Huge shade trees on a small urban lot feel ominous and overwhelming - plus they don't allow sun into the house or the garden. It's also important to not plant trees where their roots will damage foundations, patios, pathways, leach fields, etc. A general rule is to select trees that will fit in the available spaces of your property without being less than 30 percent of their height from any of these objects. For example, a tree that will grow to 100 feet in height should be at least 30 feet from any of these. 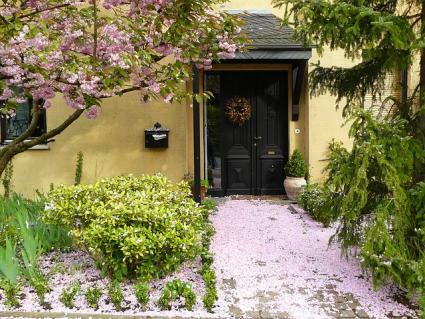 Small trees (10 to 30 feet tall) are a good fit for the tiniest urban lots and as focal points in various parts of the landscape on larger properties. Trees of this size provide very little shade, however. Medium trees (30 to 60 feet tall) provide significant shade and are easily fit on a typical quarter-acre lot - they will completely change the look of your property once mature and generally require professional help for pruning and pest management. Large trees (greater than 60 feet tall) will take decades to mature, but are a priceless asset for future generations and increases the value of the home if chosen wisely. They are usually a good fit only on half-acre or larger lots. Keep in mind that there are also dwarf trees (less than 10 feet in height) that are suitable for people who only have a patio or deck for growing things. Most fruit trees are available as dwarfs and certain ornamental species are commonly grown this way as well, such as Japanese maples. 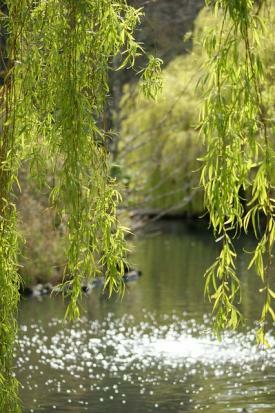 Weeping willows work in wet areas. Different trees have different growing requirements, so it's important to take an inventory of the conditions your chosen specimen will be subject to. Some of these can be changed easily while others are more intrinsic. Find out your USDA plant hardiness zone, which is based on the coldest annual temperature in your area to determine which tree will survive the winter. Heat tolerance is an equally important factor, for which the American Horticultural Society provides an interactive map. If you live on the West Coast, you can consult with Sunset Magazine's climate zone system, that incorporates, heat, cold, and other environmental factors all at once. Some trees need just a bit of water to get established in their first two years while others will suffer without an inch of water per week for their entire lives. Soils that are naturally wet all the time, like next to a pond, require the use of very specific species; you can always irrigate if you need to, but it's good to consider how practical that will be (i.e., how far from a spigot or the existing irrigation system). In the name of not being wasteful, always consider your climate and try to plant appropriate species that do well with the natural rainfall patterns. Some trees tolerate heavy clay while others are adapted to growing in light sandy soil. Rich, fertile soil is essential for certain species, but there are also trees that thrive in rocky, barren environments. Some are specialized for acidic soils or alkaline soils while others do well in either. All of these factors can be modified to some degree by building mounds to improve drainage, adding compost and fertilizer, amending with substances that will change the pH, and other methods, but it's easier to work with what you have. Contact your local cooperative extension service office for help in understanding your soil type. 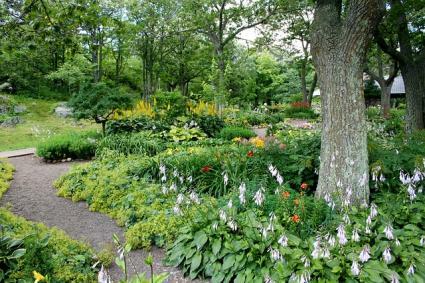 They will also be glad to provide a list of the best trees for your area. 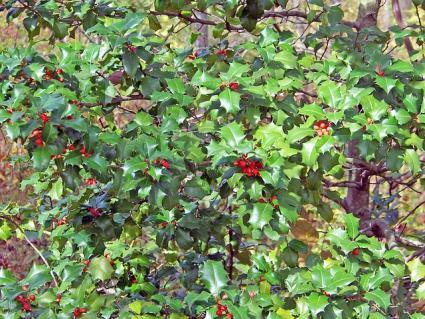 Evergreen hollies provide winter interest. 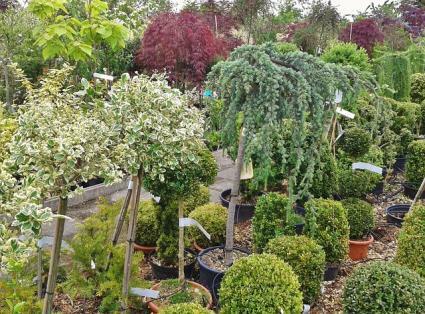 Choosing whether you want an evergreen or deciduous tree is a big step in the selection process. Evergreens look lush and green in winter when most plants are dormant and rise to the top of the list when screening is a major factor. But overall, there are relatively few evergreen trees available, especially for northern climates. Deciduous trees, though they lose their leaves, often come with the added benefits of beautiful fall foliage and a striking branch structure that is only apparent in the winter. Deciduous trees also let in the sunlight at a time of year when it's most needed. Matching a tree with the conditions of your property goes a long way toward minimizing maintenance. If you plant something that likes moisture and rich soil in a dry, rocky area it will need a lot of fertilizer and irrigation to perform well. Likewise, a tree that grows too big for the space will require a lot of pruning to maintain the size. But if you really desire a certain tree that is not a perfect fit for the environment you have to offer it, it may well be worth the extra maintenance for the satisfaction of having that particular tree. Most trees require some maintenance - it's more a matter of choosing one that suits your lifestyle and the context of the planting location. All trees drop leaves (or needles, if they are conifers), but some drop seeds, fruits, nuts, and other things that could be seen as a nuisance. Even evergreen trees drop leaves, it's just not all at once like deciduous trees. However, plants with small leaves naturally require less raking than those with large leaves. Trees with messy fruits can stain the surfaces under them, so it best to avoid planting these species over patios, decks or parking areas. Nuts can be a hazard on hard surfaces as they roll under your feet like marbles. Some trees are also known for dripping sap or emanating huge plumes of pollen. This point may be the most important to many gardeners. It's low on the list not because it doesn't matter, but because it easier to eliminate inappropriate species based on functional requirements and then consider looks. This is a matter of personal preferences and sensing what will fit best in the existing landscape or create the special look you want to achieve. 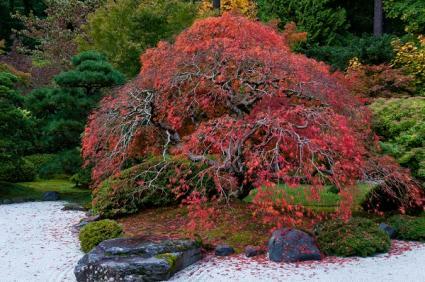 Japanese maples have a Zen garden aesthetic. Flowers - Color, size, fragrance, and season are all relevant factors. Growth habit - Columnar, pyramidal, lollipop-shaped, vase-like, weeping, multi-trunked, wide, and spreading are different growth habits of trees to consider. Leaf color - There are many shades of green out there, but there are special cultivars with purplish, bronze, gold, or chartreuse highlights; fall colors are also variable by species. Leaf texture - The size of the leaves and whether they are glossy, leathery, wispy, erect, sparse or dense all has a lot to do with how the tree looks and feels in the landscape. Special effects - Some trees lend themselves to formal gardens, Zen gardens, tropical themes, Mediterranean landscapes, southwestern aesthetics and more. There are many other unique situations that will further limit the species that make a good match. Choose wisely to avoid potential hazards. Silver maples are easily damaged by storms. You may want to consider the growth rate of the tree if you're in a hurry for shade. Some trees have very invasive root systems and are hard to garden under. 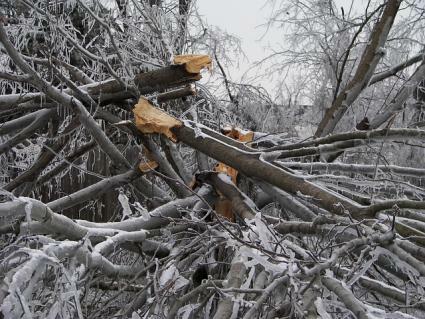 Others are prone to losing limbs in storms and are a poor choice for positioning over a parking area or in places with heavy snow or high winds. You'll want to make sure that what you are planting is not invasive in your area so it doesn't end up sprouting all over your yard. Confused about how to apply all the different criteria? These sample scenarios may help clarify the process. Magnolias can flower in the shade. If you live in the Southwest and were looking for something heat and drought tolerant, of a medium size, fast-growing with colorful flowers, consider the silk tree, also known as mimosa. If you live in a cool, mountainous region and need something with branches that won't break under the weight of snow, tolerates acidic soil, and will work as an evergreen screen, try planting a blue spruce. 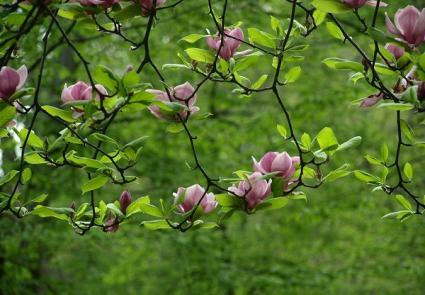 If you live in the Southeast and would like to fill in a shady area under a patch of large hardwoods and would like the tree to have showy, fragrant blossoms, flowering magnolias are a good choice. If you live in a dense urban neighborhood in New England and want something small, with excellent fall foliage and spring flowers, a tree like witch hazel will suit your needs. When buying plants at a nursery, O'Sullivan has the following suggestions to ensure that you come away with a healthy and attractive specimen that will lead a long, happy life in your yard. Look for healthy trees with good form. Choose single-stem trees with straight trunks that flare towards the base and with its limbs spaced evenly around the trunk. Multi-stemmed trees should look handsome and full from every direction. Look for sound wide branch unions, not big limbs crammed against the trunk. Select plants with clean leaves and without dark spots, discoloration, or insect holes. Moist fibrous roots are better than woody pot-bound roots. Don't buy plants with dead, injured, big crossed and rubbing branches, split bark, trunk damage, two competing leaders, signs of insect infestation, or dry broken root balls. 'There is no better time to plant a tree than yesterday', the saying goes. That being said, O'Sullivan cautions against haste, saying "Planning takes extra time up front, but saves you significant time and money in the long run."